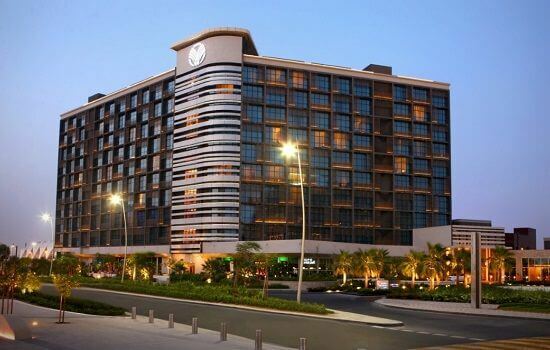 Step into a world of luxury at the Yas Island Rotana designed with international flair to suit your needs. At this elegant hotel, that has 281 spacious rooms and 27 suites designed for your comfort, you can always expect privacy, personalised service and unparalleled quality. This four star property boasts 397 spacious rooms and exquisite suites overlooking the turquoise waters of the Arabian Gulf and the Yas Links Golf Course. Enter the vibrant deep blue, turquoise and gold designed lobby at Crowne Plaza, Yas Island and relax in the lavish spherical booths hanging from the high ceiling. Luxurious bedding and amenities accompany all 428 rooms including 45 suites. If convenience and service are your priority, then the Park Inn offers attentive hospitality and enthusiastic service while placing you in the heart of the action over the F1 weekend. 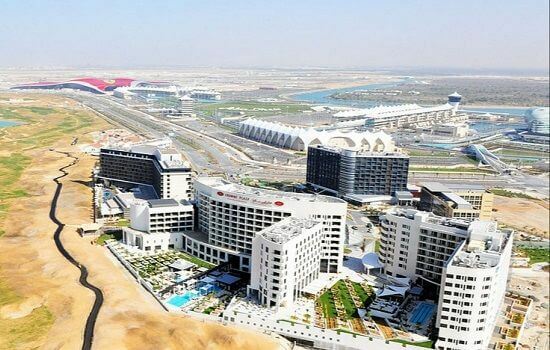 Centro Yas Island encompasses a contemporary hotel concept that is young and fresh in its approach, original in its presentation, and dynamic in its offerings. Additional Note: For all guests staying at any of the hotels above, there are a number of complimentary shuttle buses that will transport guests with a corresponding race ticket to a number of different locations on the track, including the Formula 1 Paddock Club.